This week in our travels we came across one of the herds we know and we had a surprise waiting for us. This little colt! We have given it the name “Chaska” which means first born son. He was likely born around the middle of December, into a herd led by a beautiful stallion who had his mother and three other mares along with two yearlings in it. All the horses were in excellent shape including this little one. 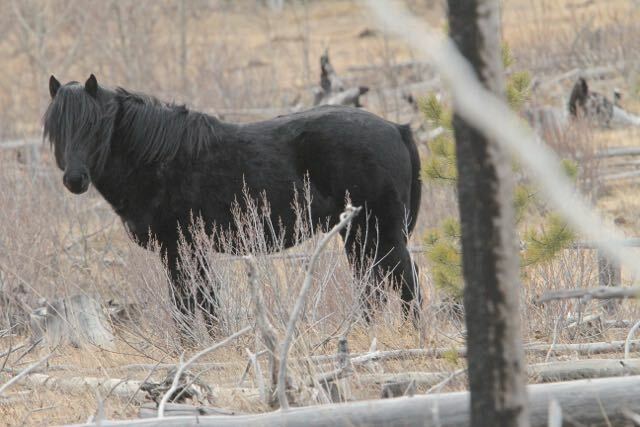 Occasionally we come across wild horses where they have foaled out of season. There could be several reasons for this. One could be that this mare lost her foal last year due to the extreme winter and then came into season right away and the result is this baby. All horse mares do cycle shortly after having given birth so it is not just limited to the wildie mares. 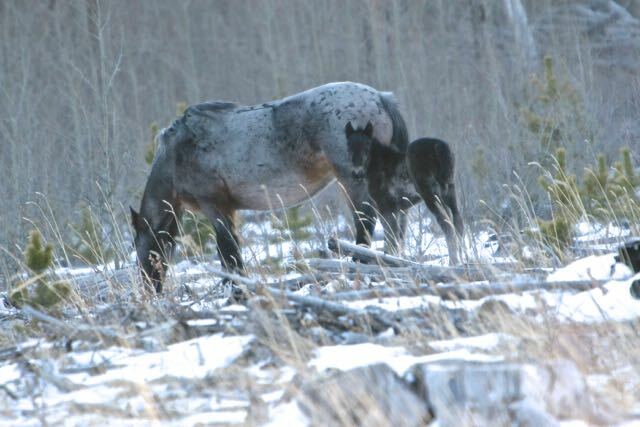 Here is another example of a foal born in the winter. It was minus 20C when we found “Yeppa” along with its mom feeding in a clear cut. 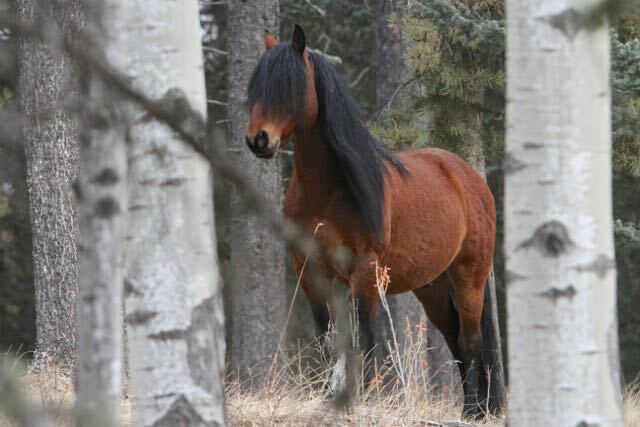 It was the offspring of the black stallion “Raven” which was highlighted in the 2011 calendar. 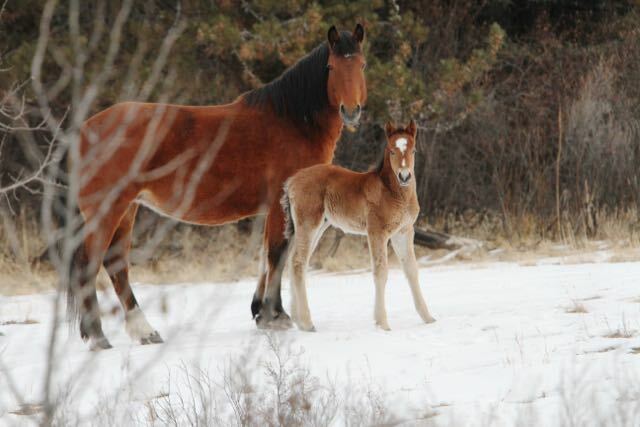 Despite the extreme cold and snow, this foal survived. 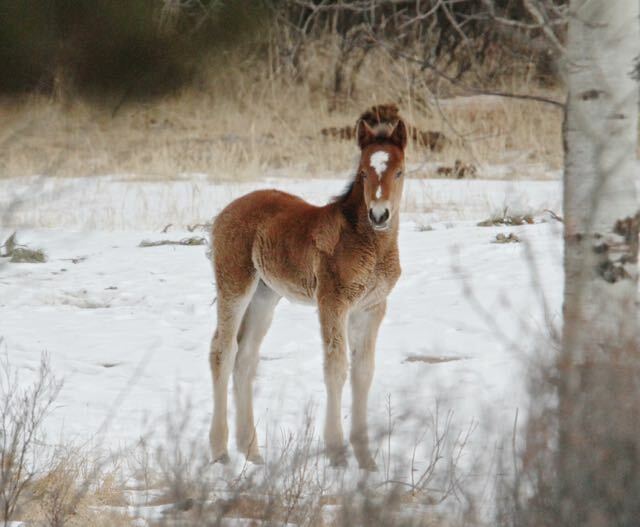 We are hopeful that the little colt we saw this week will also thrive, especially since the winter so far has been relatively mild with little snow. 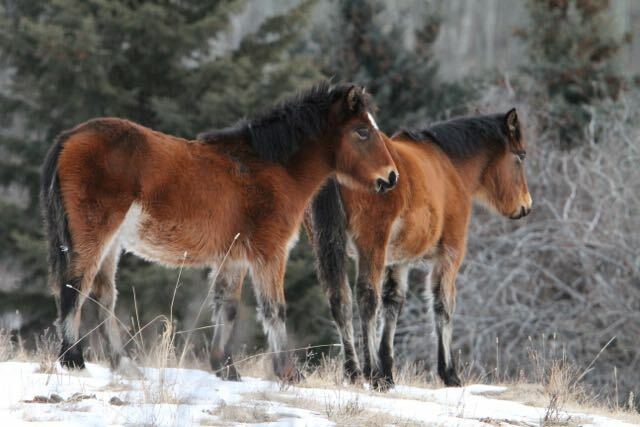 These two yearlings also belong to Chaska’s herd. Here is his mighty sire. What a strong and magnificent stallion. With his genes the foal should do extremely well. Still around today, this is “Raven” the sire of “Yeppa”. It was so nice to see him and his herd the same day also doing so well. Here is a shaky, short video of Chaska and as you watch you can see he has already learned to paw imitating what the other horses were doing. We hope to be able to keep you up-dated on this little boy’s progress.